In today’s times of high-speed information, everyone wants to be up-to-date with the latest news and events. This is where the role of the online tool Beamer comes into play. Beamer is a user-friendly platform, which makes information about news, product launches, events, updates and extra offers easily available to different customers. Among its numerous trusted clients are companies like AppSumo, VidYard, MediaMarkt and many more. All these companies look towards Beamer to share information and update their customers, subscribers and end-users about their new products, launches or any upcoming offers. Beamer works by helping companies upload posts, images, videos and GIFs to their newsfeed. This will help their clients become updated about all the latest stuff, which is going on with the companies. With a constant flow of latest news and information, companies can easily keep their clients engaged and connected with them. And a lot of credit for that goes to that online tool B. Beamer does not bombard the client with potential information but only sends across news, as and when it happens. Another interesting fact of associating with Beamer is that it can turn casual visitors to potential clients many times more than any other application. The advantage of associating with Beamer is that it cuts down a lot of the work needed to make important announcements or developments. Companies no longer have to manually send out mails/letters to users. Beamer reduces this workload a lot by sending out information only if something new is being launched or there is some latest development in the company. This works well with users/subscribers as they get only the necessary data and are not bombarded with information. Many may think that Beamer is a difficult tool to install but that is not the case. This online tool can be installed by just about anyone and does not require any coding knowledge. All that potential users need to do is to copy and paste the Beamer tool script or use the WordPress plug-in. Working with Beamer will help clients better their interactions with customers and thus as a result, reduce churn. One can add videos, images and gifs to the newsfeed of existing/potential customers. Beamer helps companies assign posts in such a manner that the news releases are sent at the correct time. 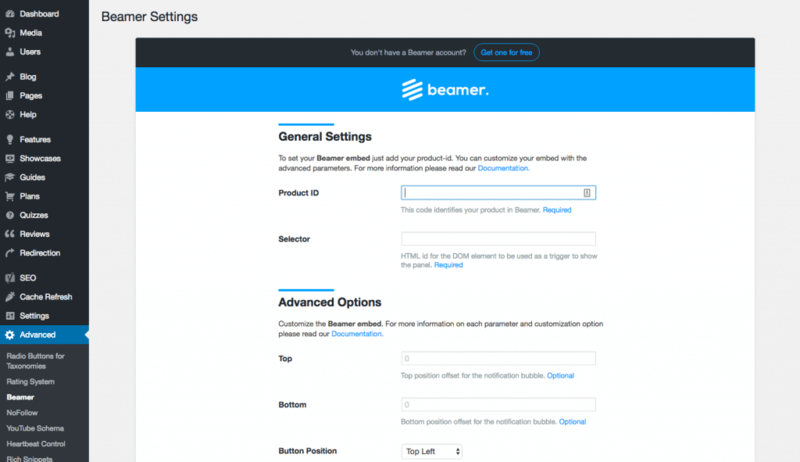 Beamer helps companies get real-time feed-back about products/launches. The analytics team at Beamer works using real-time data. The online tool makes use of segmentation to interact with the data base and come up with potential new data. 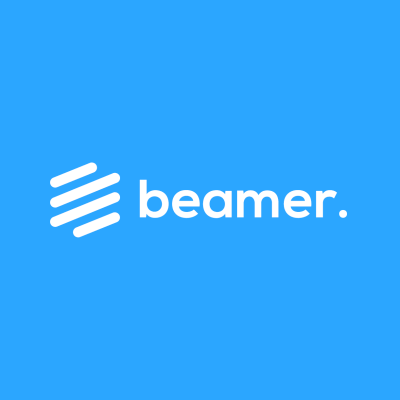 Customers can make use of Beamer’s Zapier integration to connect their respective feeds with many services and thus have more interactions with clients. Another positive feature about the Beamer tool is that customer can match the color and font of the tool to match their site/app. This is a good feature as it sits well with the brand image. The Beamer tool works in a very simple manner. You can subscribe to this application for different rates for different periods of time. Once the subscription is done, you can add new notifications about your new ideas/products. After setting up an account, you can go to settings and edit your account as per your wishes. By using the appearance tag, you can set the Beamer tool as per your style. You can set the default language and designs on the home page as per your liking. You can then go the dashboard and edit your posts as you want. Any changes that need to be made are done by editing the Menu page. This way Beamer helps companies interact better with clients who can also leave their feedback on the tool. This feature helps companies know what their clients want and Beamer helps to measure them through analytics. Easy to Install: The biggest advantage of using Beamer is that it is very easy to install and does not require any in-depth knowledge of codes. This works well with people who want to use the tool but are code-illiterate. Keeps Clients Updated: Beamer tool is the best way to keep existing/potential customers up-to-date about the latest developments/news happenings with any company. This will not only reduce churn but turn visitors to potential clients. Improves Online Presence: Beamer is a great way of bettering the online presence of various companies, which otherwise would be internet-shy. An improved online presence will always help any company increase customer traffic and then sales. Not Many Negatives: There are not many negatives to be reported about Beamer as most clients consider it quite user-friendly and helpful. The Beamer tool is a good online application to work with as it works well with E-commerce as well as blogs, SaaS and websites. It is a great tool for companies to pass information to their clients as well as engage fruitfully with them. The Beamer tool helps attract more online visitors and brings down the bounce rate to a large extent. Posted November 26th, 2018 in Communications. Tagged: announcements, changelog, notifications, push.